So lately I’ve been listening a lot to video game soundtracks. 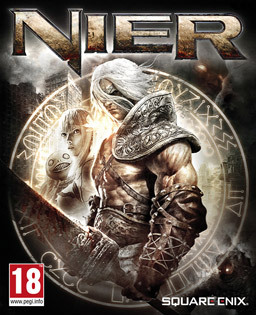 Whilst not the most popular or polished games of Square Enix (or any game for that matter), NieR stands to be a guilty pleasure of mine for two reasons – the plot and the music. Now you may be thinking “It’s just video game music in a mediocre game“. Ah, but my dear friend, how many games have gone through the effort to complete all the vocals in a completely new (that is to say, non-existent) languages? Keiichi Okabe, the lead composer of the album has done such extraordinary work that rather than making the music fit the game – much of the game itself was changed to fit the music. Perhaps it was the work Emi Evans. She was responsible for the interesting language of the album, incorporating French, Spanish, Portuguese, Scottish Gaelic, Italian, Japanese and her own “futuristic” language. Her vocals are just simply beyond what words can describe – I beg of you, please take a listen. 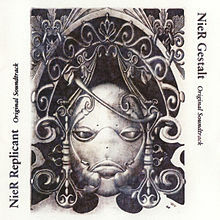 The songs themselves are movingly melancholic, an indication to the overwhelming sense of hopelessness and despair posed by the entire world of Nier (If you’ve finished it completely, you would understand). But don’t take my word for it. While many gave the game mixed or negative reviews, it was often found that the soundtrack in a way redeemed it (Thanks Emi, really). I personally listen to this soundtrack to calm down or to fly through the homework that piles up on my desk. It’s insanely soothing, and if you’ve played the game, strangely perceptive. I find that, while I don’t understand 99% of what is being sung, I wholly relate to it – and you would to if you would just take a listen.